We provide the very best in hearing loss treatment. A wide selection of hearing aids in various styles. We are here to serve you with locations throughout Washington and Idaho. Find easy directions from your doorstep to ours. Todays hearing aids produce the clearest sounds and are smaller than ever. Browse our online selection to find the right fit. 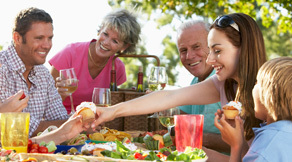 Starkey® Hearing Technologies is the world leader in custom products built for your ear. 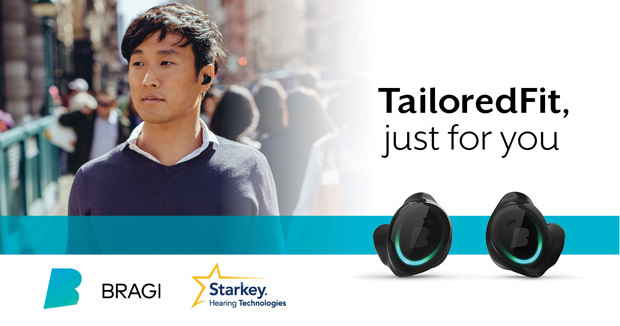 Starkey partnered with Bragi, the creator of the first hearable, to co-launch The Dash Pro tailored by Starkey Hearing Technologies — a wireless earphone fit and tailored to your ears. Featuring a custom shell and enhanced sound, this tailored version of the Dash Pro is only available at select hearing centers. To ensure your Dash Pro tailored by Starkey fits perfectly, our hearing professionals will take precise measurements of your ears. After the measurements are sent to Starkey Hearing Technologies, they are scanned electronically to create 3-D printed shells. Then, your customized shells are merged with Bragi’s EarTouch technology. You may have heard the term “wearable” in relation to wireless technology that you wear (e.g. smart watch). A hearable is similar, but can offer both an enhanced listening experience (since it’s worn in your ear) and biometric data for heart-rate monitoring, performance tracking, etc. If you’re interested in the TailoredFit and enhanced sound of The Dash Pro tailored by Starkey Hearing Technologies, call us to schedule your appointment now.